As the name indicates this is a standard design of a payroll register form which the user can download and then customize as per his requirements. However, it contains the different columns that should be included in the form. 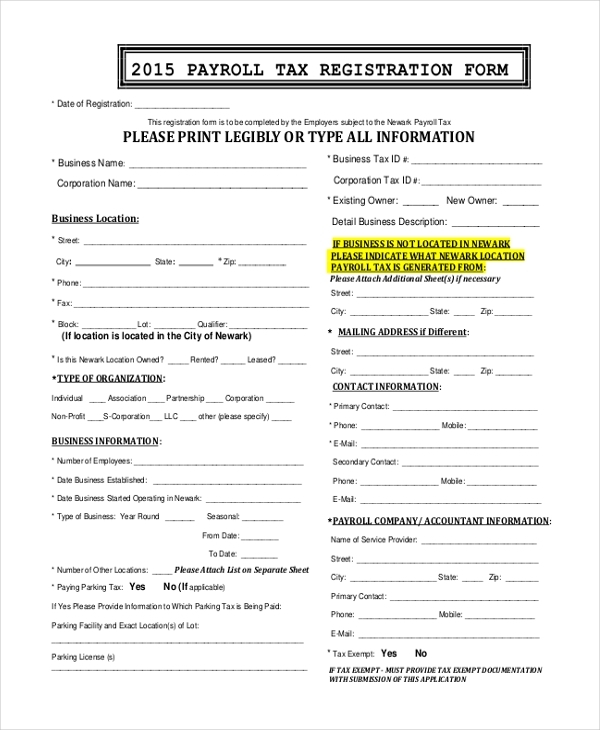 This is a sample of a payroll registration form. It comprises of all the important segments that should be present in such a form. The user can use it just the way it is or make changes to it as per his requirement. 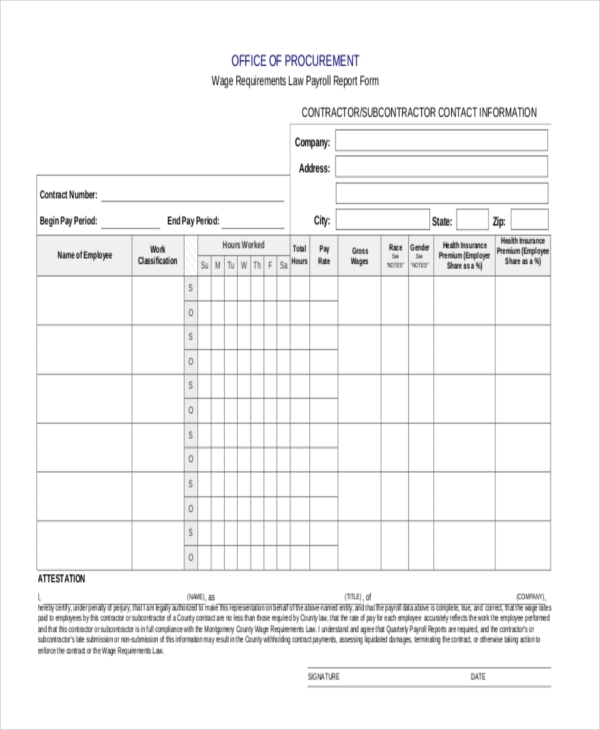 Generally used by contractors working on projects that are funded by the government, this payroll form is used to analyze the payroll information of the employees who were hired by the contractor to work on the project. 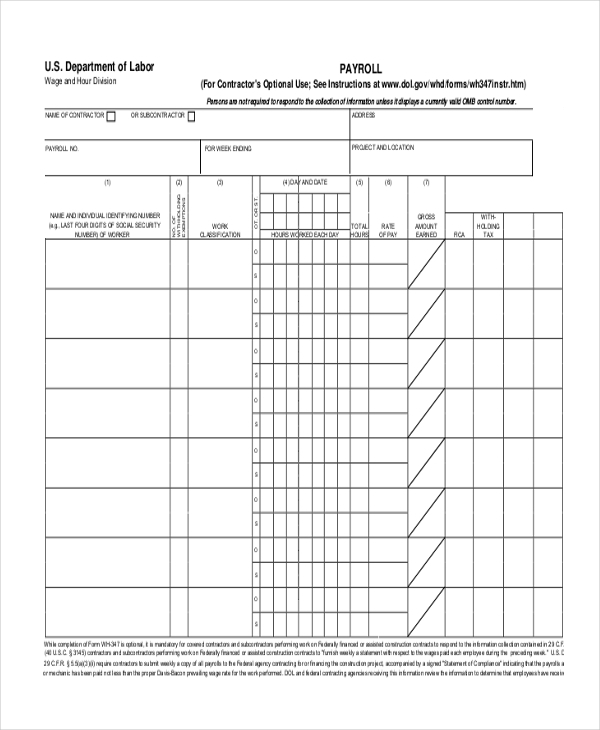 Used by owners of commercial organizations, these forms help them to keep a close tab on the payroll information of their employees. This comes in handy to them at the close of the financial year when they need to calculate their taxes. 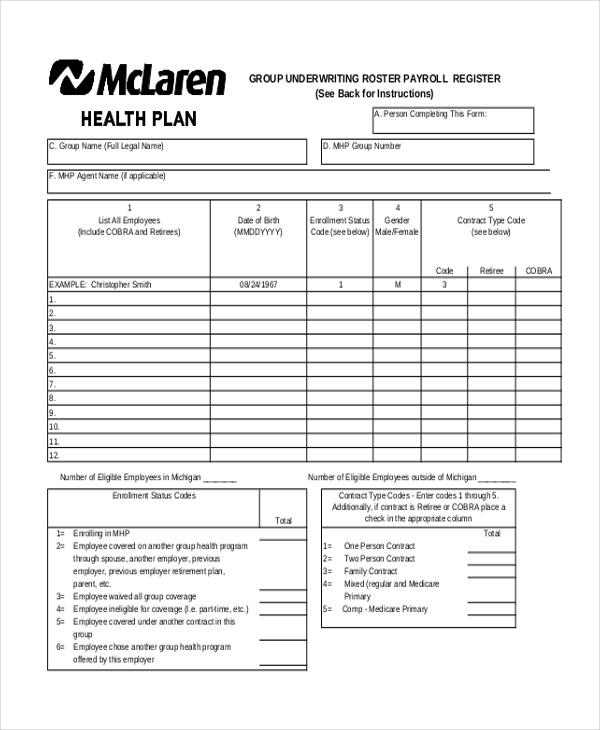 This payroll registration form enables the employer to collate the payroll information of all the employees on his roster in one single document. This is easier to maintain as one look at the form is all that is needed to make the final calculations. 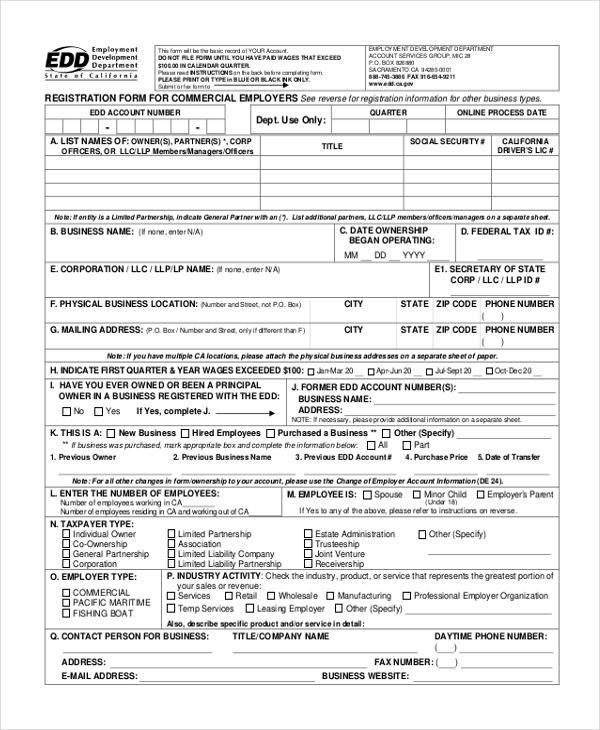 The employer can use this registration form to add in not only the payroll details of the employees but also their other personnel details. This makes it easier to record the details and analyze them every now and then. 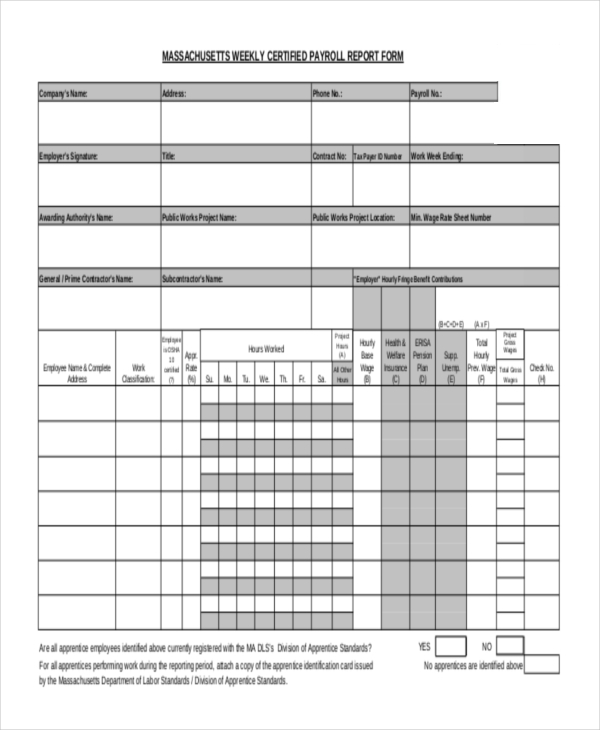 Usually used by the contractors and subcontractors to keep a tab on the wages paid to their workers, this payroll report form is usually used to track weekly payments which in turn is collated with other details like insurance etc. 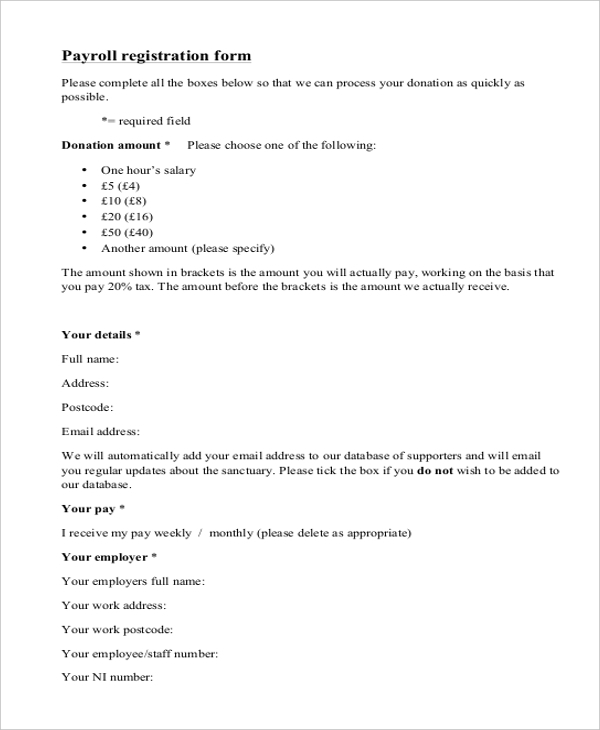 This form is used by the employers to keep an eye on the employee payroll and to ensure that all the calculations and tax deductions are made in compliance with the latest law passed. The form comprises of all the clauses and percentages in accordance with the new law. As the name suggests, this payroll register form is used by the contractors to keep a tab on the wages paid to their laborers over a certain period of time. Updating this form on a regular basis makes it easy for the contractor to calculate and declare his taxes at the end of financial year. 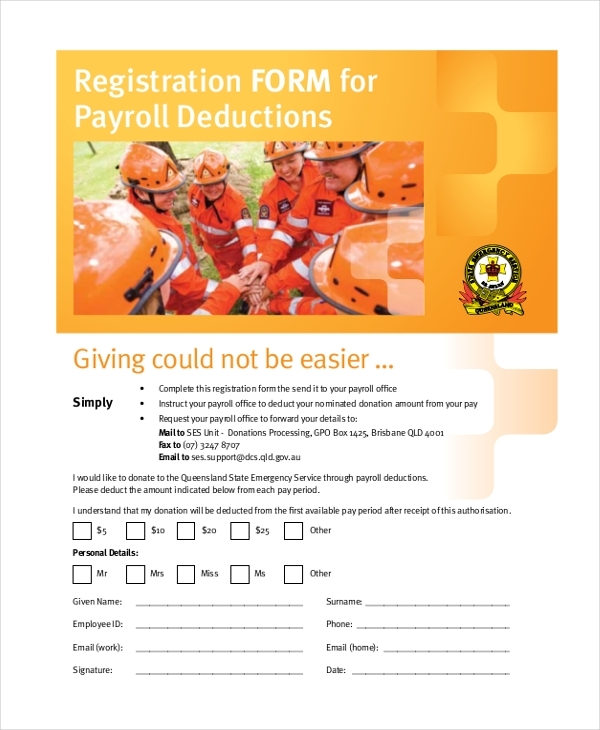 Who can Use Payroll Register Forms? What are the Benefits of Using Payroll Register Forms? Payroll register forms comprise of all the important segments that need to be filled up to record the payroll details of an employee. Since these are designed by experts, one can be assured that these forms are perfect for company use. 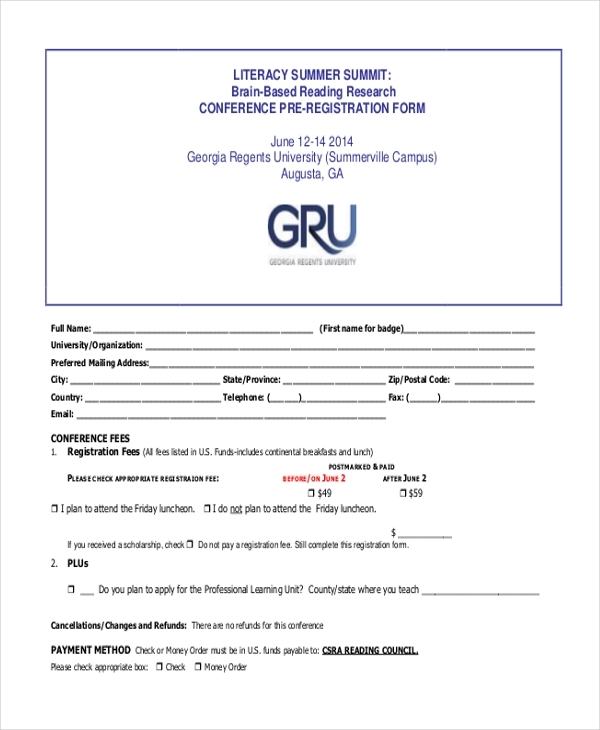 However, these forms can be customized which is surely an added benefit. Using these forms make it easy for the employer to record the payroll details of his company in an organized manner. What are the Essential Components of a Payroll Register Form? A payroll register form can be quite confusing to design. However, lack of a proper design may make it confusing and render it useless. So, if you are not sure how to design this form, do not fret. You can easily download this from the vast collection of payroll registration forms available online. Easy to customize, you can make necessary changes to the form before entering in the information.